A traveling educational hub with a mission to bridge communities, inspire sustainability, and teach fermentation. If you’re interested in booking an event, please contact info@fermentationonwheels.com. All events are free and open to the public unless otherwise specified. Fermentation on Wheels thrives on your donations. Discover the unique flavors and learn about the health benefits of fermented beans and grains with Tara of Fermentation on Wheels at Taos Food Coop. This approachable course will get you started with how to make cultured oatmeal, miso, and tempeh at home. All recipes in this class are featured in Tara’s book, Fermentation on Wheels: Road Stories, Food Ramblings, and 50 Do-It-Yourself Recipes from Sauerkraut, Kombucha, and Yogurt to Miso, Tempeh, and Mead, which you can browse or purchase during class. Hop on the fermentation bus after class for some enlivening conversation on fermentation, food sustainability, and putting your heart into your processes, be them big or small. 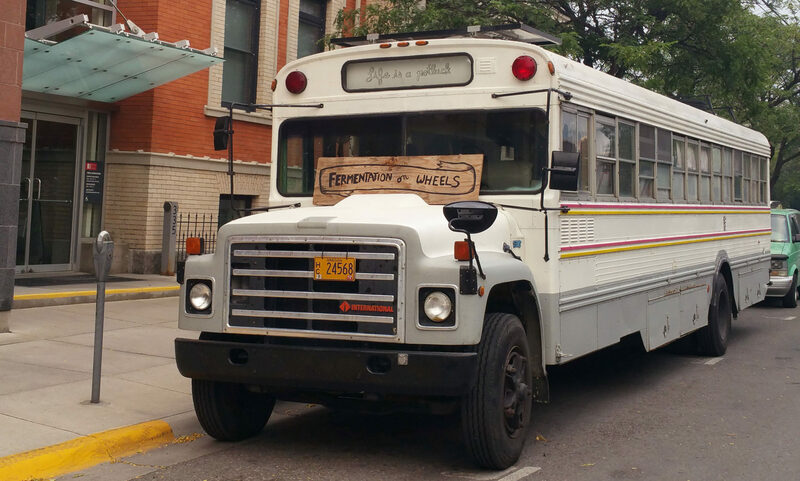 Fermentation on Wheels a grassroots organization that provides food education and inspires people through workshops, literature, & visual arts to raise awareness about food sustainability alongside teaching fermentation. These events also serve as a way to bridge communities and restore a genuine fascination and interest in local, traditionally-preserved foods.